Be sure you understand our "No Show" and Rain Check policies. As a “No Show,” you will be charged the greens fee for each no show in your group. You or a member of your group will be responsible for paying this fee at check-in. 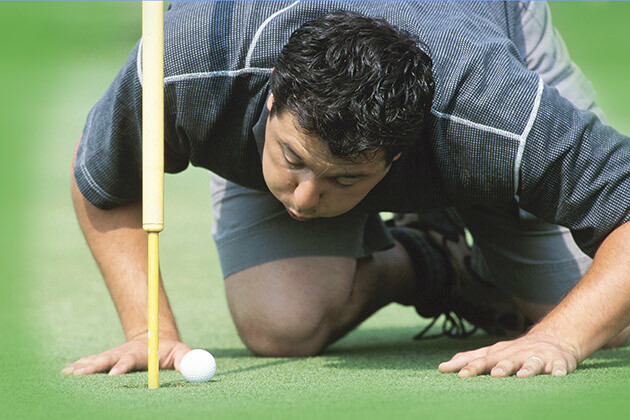 Failure to pay will result in the loss of the tee time reservation privileges to the golfer who booked the tee time. In the event that your entire group does not show up, you will be responsible for paying all the fees the next time you play. If you incur a second “No Show” while there's still an outstanding balance on your account, your tee time reservation privileges will be suspended until the balance is paid in full. Proper golf attire must be worn at all times. This policy is designed to maintain an atmosphere consistent with the tradition of golf. Allowed: shirts with collars and sleeves; slacks or Bermuda shorts. Prohibited: tank tops, T-shirts, cut-offs, sweatpants, warm-up suits, blue jeans, denim shorts, tennis shorts, short-shorts and other types of athletic shorts. Allowed: dresses, skirts, mid-length shorts and blouses. Prohibited: halter tops, T-shirts, bathing suits, sweatpants, warm-up suits, blue jeans, denim shorts, tennis dresses, athletic shorts, cut-offs and short-shorts. Only golf shoes without metal spikes may be worn. Tennis, soft-sole and field shoes are permitted only if approved by the golf shop. If the weather is inclement, you are obligated to show up at the course or call to find out what determination has been made based on course conditions and use of carts. Otherwise, you will be flagged a “No Show” and will be charged. If a golf course manager determines that a course is unplayable due to inclement weather or has suspended play due to hazardous conditions, rain checks may be issued upon request as follows. A golfer may elect to wait to determine if the course reopens or request a rain check. Golfers under age 13 must be accompanied by an adult golfer with golf pro approval.